Indian American Rana Adhikari of the California Institute of Technology was named as one of the recipients of the 2019 Breakthrough Prize for his research on present and future ground-based detectors of gravitational waves. According to a press release, Adhikari who was awarded in the New Horizons in Physics Prize category along with Lisa Barsotti and Matthew Evans of the Massachusetts Institute of Technology, will be one of the nine scientists to receive a collective total of $22 million. Other categories included Breakthrough Prize in Life Sciences; Breakthrough Prize in Fundamental Physics; Breakthrough Prize in Mathematics; Special Breakthrough Prize in Fundamental Physics; and New Horizons in Mathematics Prize. 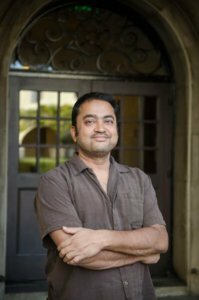 Adhikari has been a postdoctoral researcher as well as an assistant professor at Caltech, where he is currently a professor of physics since 2004. He earned a bachelor’s in physics from the University of Florida and a doctorate in physics from MIT. Adhikari also serves as an adjunct professor at the Tata Institute for Fundamental Research. According to a press release, each Breakthrough Prize is for $3 million and it recognizes achievements in the Life Sciences, Fundamental Physics and Mathematics, and in addition to the seven main-stage prizes, a total of six New Horizons Prizes, worth $100,000 each, were awarded to the seven physicists and five mathematicians for early-career achievements in their respective fields. The Breakthrough Prize program, also known as the “Oscars of Science,” is now in its seventh year and it is sponsored by Russian billionaire investor Yuri Milner and his wife, Julia; Facebook CEO and co-founder Mark Zuckerberg and his wife, Priscilla Chan; Google co-founder Sergey Brin; 23andMe CEO and co-founder Anne Wojcicki; and Tencent Holdings CEO and co-founder Ma Huateng, according to a press release.